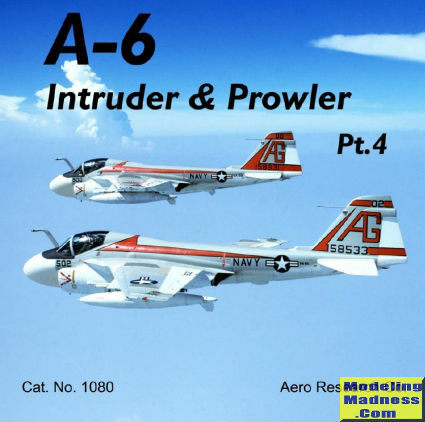 Aero Research has released their fourth compilation of images of the A-6 and EA-6. Once a staple of Air Wings for decades, both types have been retired from service, the A-6 replaced by various types of Hornet as is the case of the EA-6B. The 152 images cover pretty much all the units that have flown the aircraft and this includes both Navy and Marine squadrons. Each of the 7.20 x 4.70 inch images on the Pdf is listed with the unit, serial number and location of the photo if that information is available. A full range of camouflage schemes is covered from the colorful early ones as sown on the introductory photo to the all greys TPS schemes these planes carried at the end of their careers. There are a few in flight images, but most of them are ramp shots and quite clear. This is also available as a CD for $12.95 plus shipping so visit their web site for more information. Time permitting, the rest of the library will be converted to PdF format, but that will not happen overnight. There is a real benefit from PdF files for overseas buyers as one does not pay shipping. You can get more information by visiting www.aeroresearchcds.com.